ARABICA COFFEE - Kopi Kerinci Arabika Jambi Province was chosen to be one of the commodities from Indonesia who participated in the trade again with 11 Sukhoi Su-35 fighter aircraft from Russia. Members of the Group of Arabica Farmers Group, Suryono in Jambi, on Wednesday (11/10) confirmed that his company had been contacted by PT Perusahaan Perdagangan Indonesia (Persero) who declared to choose arabica coffee Kerinci as one of the products to be used as trade back to Russia. With the news, Suryono said, coffee farmers who are members of the Alam Kerinci (KAK) group requested full support from the district government to the central government to assist the required administrative process. This is in desperate need of support from various parties, as we will need various licenses and recommendations for exporting coffee as part of trade with Russia, "he said. The return of this trade, according to him, is a support for coffee farmers arabica berkelompok Kerinci. So he and 13 other farmer groups who took shelter under Alam Alam Kerinci (KAK) organization increasingly wanted to develop organic coffee plantations. The group is supported by a non-governmental organization (NGO) by the Lahar Foundation for the support of WWF Indonesia through the MCAI donor agency. KAK Farmers Group consists of 13 farmer groups coming from Kayo Aro Sub-district, Kerinci Regency. They agreed not to open the land in Kerinci Seblat National Park (TNKS) related to land management and coffee farming. In addition, each member of the group of integrity pact groups not to open coffee land in TNKS area, thanks to explain. Arabica Coffee Kerinci said Suryono can only grow well at an altitude of 700 to 1,200 meters from sea level (MDPL) in the area of ​​Kayu Aro Kerinci Regency. Responding to the demand of coffee farmers, Jambi Governor Zumi Zola said, will provide full support for the process. It also ordered all organizations of the regional government (OPD) of the Jambi provincial government and related groups to immediately provide the administrative assistance required by this farmer group. 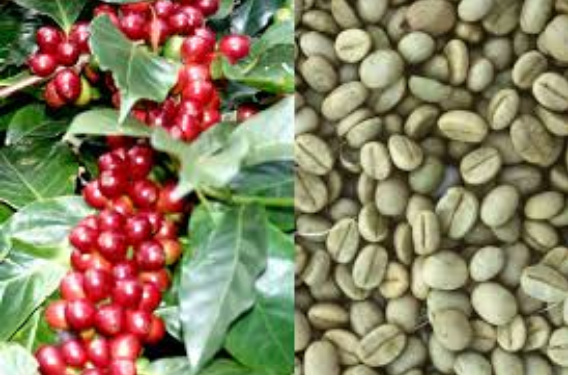 Arabica Kerinci Coffee already has Geographical Indication (IG) with the name Arabica Coffee Soematra Korintji. Our terms The provincial government fully supports the process that the coffee farmers need, "said Zola. To note, previously the government of Indonesia and Russia check to buy procurement with US $ 1.14 billion by bartering various commodities from Indonesia going to Russia. Trade Minister Enggartiasto Lukita in Jakarta, said the two countries appointed Rostec and PT Perusahaan Perdagangan Indonesia (PPI) as the technical implementer of the buy-back between Sukhoi aircraft and various commodities from Indonesia. Such as plantation commodities, rubber processing, furniture and palm oil and its derivatives.